What are you planning for your special Valentine’s day? Chocolate, flowers, a small gift, and of course delicious Korean food! If you are a Korean BBQ connoisseur, you know that Sura offers most premium and authentic Korean BBQs that your loved ones and family will appreciate greatly! Sura, Best Korean winner of Vancouver Magazine’s Restaurant Awards, ignites passion and romance in an effortless way. It’s the place where you and your loved ones can savour the most authentic Korean cuisine and your favourite drinks. 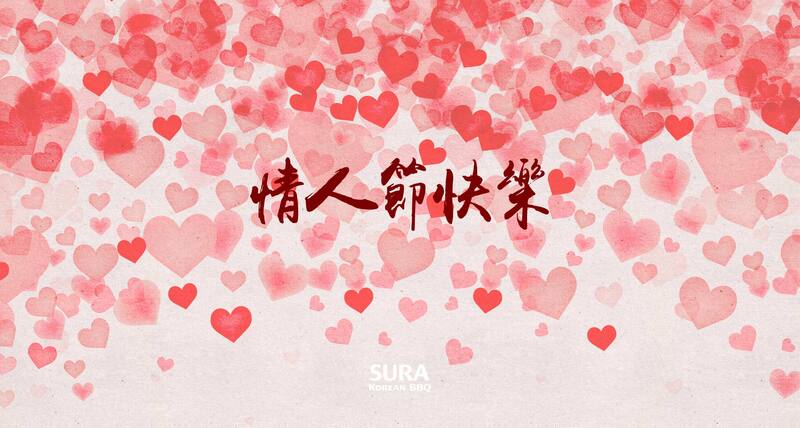 If you desire for an unforgettable romantic experience with your loved one on this Valentine’s day, look no further: Join SURA Korean BBQ Restaurant Richmond for truly delightful Korean cuisine and let us help you create memories that will last you many years past 2015.